There are two artists under this name: 1. 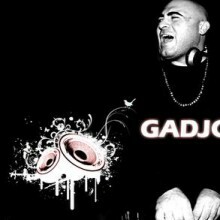 Gadjo is the alias of German DJ/producer/remixers Serhat Sakin and Murat Aslan. They are best known for their Ibiza/House flavored track "So Many Times", which featured Alexandra Prince on vocals. Although the track was released in Germany in 2003, it would go on to become a major international club hit in the winter of 2004/2005, including hitting the top 10 on Billboard's Hot Dance Airplay and Hot Dance Music/Club Play charts in March 2005. 1. Gadjo is the alias of German DJ/producer/remixers Serhat Sakin and Murat Aslan. They are best known for their Ibiza/House flavored track "So Many Times", which featured Alexandra Prince on vocals. Although the track was released in Germany in 2003, it would go on to become a major international club hit in the winter of 2004/2005, including hitting the top 10 on Billboard's Hot Dance Airplay and Hot Dance Music/Club Play charts in March 2005. 2. Gadjo is a rag-tag bunch of instrumentalists who are daft about Gypsy music. They sing like lovesick fools; tooting, trilling, warbling and yupping the crowd up into a storm of dancing. They carouse till dawn with their balkan melodies, swing and ska rhythms and wild songs about rambling, homelessness, infatuated accordions, gold teeth, illegal living and dodgy workmen. From all corners of the world they tumbled into Barcelona in 2003, collided in its Mediterranean streets and have been stuck together ever since writing songs in French, Spanish and English. Respected readers if you are reading this, you are on on the subpage of the singer gadjo in our eLyricsWorld. Our database consists of data about 52389 artists worldwide as well as 829824 songs 7 of which are from gadjo. Except for the the biography of the artist, on this page you can see short piece of information about them, enlists birthdate, style, record label Be versed in all the facts with gadjo by adding RSS feed. If you prefer you could directly visit the address you are on right now and look through what's new about the artist.